Writing one book is hard. Writing an entire series of books, with their interconnecting subplots, arcs, and golden threads, weaving first book to last, is even harder. It’s like doing a puzzle with no opposable thumbs and a blindfold wedged over your eyes. But there are things you can do, to help you progress through your series. The most useful lesson I ever picked up from writing a series is to create a book bible. This is a document containing all the most important information about your plot, characters and world without including the actual 100,000-word plot! Why have a book bible? Unless you’re Einstein, I doubt you can remember every detail, character, timeline and subplot. Having a reference guide helps prevent you from turning a thin character into a podgy one or a science tech into a teacher. It can also be handy for other people working on your novel, like editors and beta readers. What should you include? The list below is long (and not exhaustive), but only use what’s relevant to you and your series. My book bible started with just a few lines of notes; it’s taken three books to record all of the below. Societal structures—government, judicial, royal, military hierarchies, etc. Most readers have to start a series at book one (an entry point). But that creates reader drop-offs because not everyone will read to the end of a long series. It also makes selling the final book in your series, decidedly harder than selling the first. And that gives you a giant marketing problem. But there are ways to get creative with the series and provide multiple entry points for your readers. Bella Forrest does this beautifully with her multi-million-selling A Shade of Vampire series. It has seven “seasons,” each told from a different family’s viewpoint and containing around eight books. 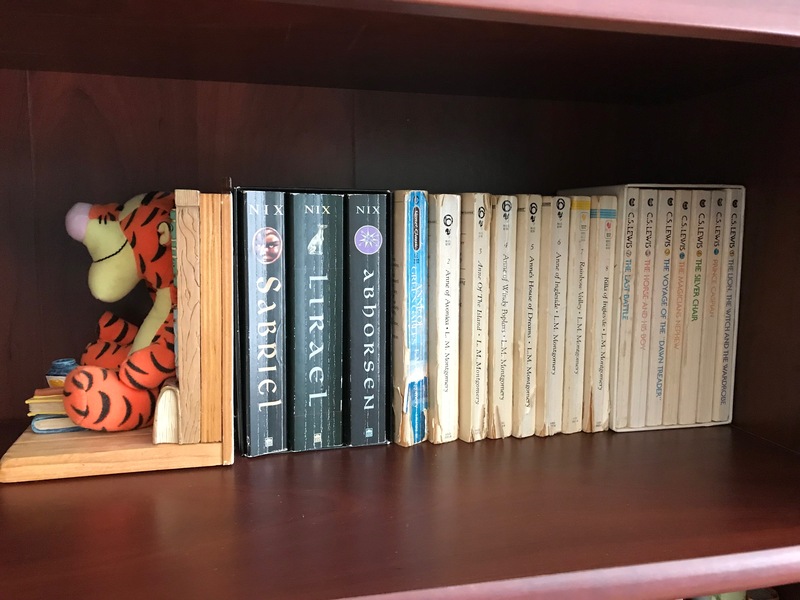 This gives Forrest’s whopping 50-plus book series seven entry points and lots of opportunity to read across the seasons. Same Old Arcs – Characters in this model take an entire series to grow through their flaw—like Harry Potter, who works on leadership and confidence until he’s strong enough to defeat Voldemort. Much as it pains me to say it (because I love a good villain), most villains have a three-ish book lifespan before your audience needs closure or you lose the believability of your hero and the credibility of your villain. If your character is chasing the same villain for ten books without any resolution, the audience is going to get tired. And yes, before you mention Harry Potter, I know he chased Voldemort for seven books. Except, did he? Each Harry Potter book had a different villain or ‘antagonist’ that needed defeating, whether it was a Defense Against the Dark Arts teacher or an ethereal form of Voldemort. But technically Voldemort himself didn’t ‘come back to life’ until the end of book four. Meaning each book had a separate villain or conflict, and Voldemort was the overarching series villain. You need to make absolutely sure you round off every other subplot and story arc in your book. Readers prefer faster releases in the series if there are cliffhanger endings. Series are hard to write, but there are lots of things you can do to make yours the best it can be. Think about your individual book arcs as well as a series arc, consider how many villains you need to keep the story flowing, and finally, remember that more entry points equals more readers and more sales. Facebook | Twitter | Pinterest | Instagram | Goodreads. This entry was posted in Resident Writing Coach, Series. Bookmark the permalink. This is indispensable info. Thanks for sharing. Awesome post! I’m going to use this information in future series. I am so glad I found this article–and this site! Sacha THANK YOU SO MUCH for these tips, I am currently working on my first book of a series and I was definitely beginning to lose track of things! But with the “bible” you suggested writing up, it will be 10 times easier to keep track of things! What a brilliant idea! Great pointers, Sacha! I think most people expect to write a series at some point, but series require some additional planning. These are great tips! I’m currently working on a writing project that looks like it is going to become a trilogy, so this is very timely. You’ve given me plenty to think about. Thanks for such a helpful, informative post Sacha! Thanks for the article gives great advice. I like the idea of the series bible, I will have to start on that. I am soon going to be publishing the second book in a series – not sure how long I will make it. Also considering a parallel story that takes place at the same time as the first one with some of the same characters. I’ve only recently decided to turn my book into a series, so this info is timely for me. My genre is contemporary WF with romance appeal. Each book will follow a different character. The idea of inserting a novella or even a novelette in between each main book is interesting…. perhaps to use as a give-away to keep readers engaged. Any advice? Thanks! Hi Julie, absolutely. I’m just about to embark on writing a novella for that exact reason. I’ll then promote the freebie novella as a way to both entice readers onto my mailing list and also to get them hooked on the series. I’m not sure which bit you want advice on, but if it’s how to market the novella then there’s lots of ways to do that like instafreebie or through social media advertising or even by doing shared newsletter promotions like bookclicker. I hope that helps but shout if I misunderstood. What an utterly tremendous post, Sacha. I especially love that you included information about series arcs, as this is something many people are unsure about and planning ahead can save a series. Great stuff! Wow! What great information! Thanks for the ideas. You’re welcome Erika, thank you for stopping in and reading. Great article, Sasha! I’m writing a large series: 13 novels and 12 novellas. My bible isn’t as thorough as it should be. This was a reminder that I better take the time to fill it in. I do have three villains in the macro plots, and I’ve been peppering them in the books. As you recommended, I have a “problem” that needs to be overcome in each book plus the romance arc and the subplots. Series aren’t easy but I’m so immersed with it that I think about it all the time. In addition to the books, I’m contemplating a middle grade set of graphic novels involving the paranormal children and their need to learn to work together to save each other. I could go on and on… Thank you! A tip of my begoggled patrol cap to you for this powerful collection of information! I’ve reblogged it at the Sci-Fi and Fantasy Writing Collective. I’m sure that once they see this, you’ll pick up some more regular readers. Thanks again. This is fabulous!